There is considerable concern and publicity about rising levels of self-harm in children and adolescents in this country. 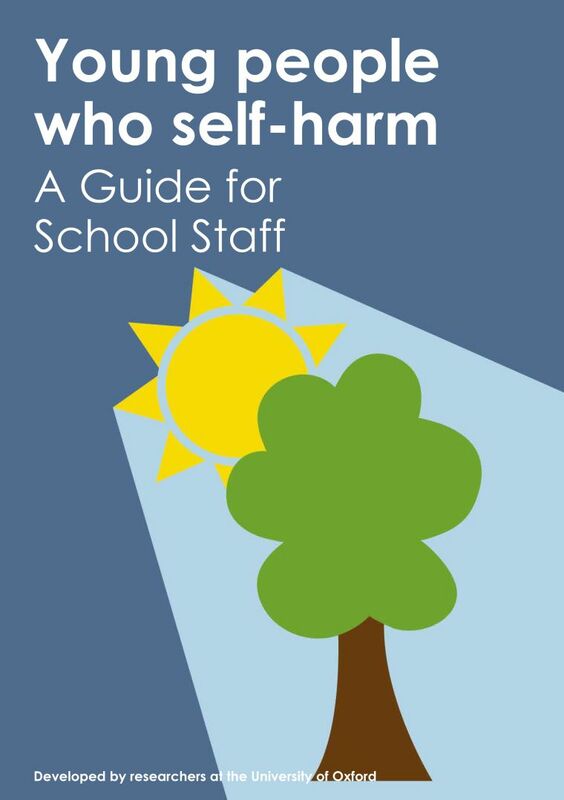 The Centre for Suicide Research together with colleagues has produced a new resource on Self-harm for School Staff - ‘Young people who self-harm: A guide for school staff’. This has drawn on interviews with parents of young people who self-harm which were conducted as part of a National Institute for Health Research Programme Grant, together with input from school staff and colleagues working in Child and Adolescent Psychiatry and the local self-harm service. It provides advice to staff on the nature of self-harm and how to support students who are self-harming. It complements the guide Coping with self-harm: A guide for parents and carers.